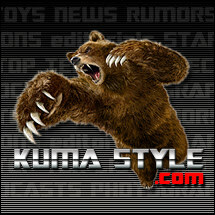 Toy Nippon: BBTS News: Transformers, Power Rangers, DC, Marvel, Play Arts Kai, SH Figuarts, Star Wars, Game of Thrones & More! BBTS News: Transformers, Power Rangers, DC, Marvel, Play Arts Kai, SH Figuarts, Star Wars, Game of Thrones & More! This 7" scale Magneto from the zombie world is priced at $22.99, $2 off the MSRP. This movie assortment includes Star-Lord, Ronan, Drax, Groot (with bonus Rocket Raccoon), Gamora, Nova Corps Centurion, Nebula and Sakaar Soldier. It is listed at $29.99, saving you $10 off the MSRP. These new kits are similar to Gundams in that they create an articulated figure that requires no paint or glue. The first Halo listings includes Level 2 Master Chief, Sarah Palmer and Gabriel Thorne at $24.99 each and Level 3 Master Chief at $69.99. DC offerings include Level 2 Batman (Arkham), Batman (Dark Knight Rises) and Superman (Man of Steel) at $24.99 each, and Level 3 Batman (Arkham Final Mode) at $69.99. Batman delves into the macabre in this latest statue based on Neal Adams' short story from BATMAN: BLACK AND WHITE #1! Limited Edition of 5,200 Measures Approximately 7.4" Tall. This item is priced at $69.99 which is $10 off MSRP. Batman needs his strongest allies to take down a mourning Harley Quinn bent on revenge! Based on designs seen in the hit videogame Batman: Arkham City. BATMAN - 7", HARLEY QUINN - 6.4", ROBIN - 6.5", NIGHTWING - 6.7". This box set is priced at $54.99 which is $5 off the MSRP. The characters of Gotham City get an adorable make-over in the newest figures from DC Collectibles! Based on the designs by fan-favorite artist and co-writer of BATMAN: LI'L GOTHAM comes Batman, Robin, The Joker and Harley Quinn like you've never seen them before. Sizes range from 3-4" and they are each priced at $11.99. Typified by Kain in FFIV and Dragoon in FF Online XIV, the Dragoon is an armored character who uses a spear or other long weapon in conjunction with aerial and jumping attacks. The 10" Dragoon Play Arts Kai figure comes with alternate hands, a Dragoon Spear, a sword and a display stand and is listed at $129.99. The figure will come with multiple pairs of hands as well as alternate heads with different patterns on the Rorschach mask. The figure will also come with a number of other accessories like his gun, a grapple, a aerosol can with flame and more. This item is priced at $89.99. The eponymous character from the hit anime series is getting his own Figuarts figure. Taking his look from Naruto Shippuden, He will come with alternate facial expressions, alternate hands and effect parts, and he is listed at $39.99. We have been able to secure a small quantity of Masterpiece Bumblebee with Collector Coin. It is currently listed at $79.99, but does not come with the Battle Mask face. We are working on getting the battle mask, and if we are able to, it will be added to this item at no additional cost. This special anniversary release includes all five original Dino Zords along with the Power Sword. They can form Tank Mode and Megazord Mode, and the set is listed at $129.99. Tamashii Nations is proud to announce the second release in the Figuarts ZERO Sailor Moon lineup with Sailor Mercury! This larger scaled, elegantly sculpted statue piece highlights the character's aquatic powers with dynamically water effects that swirl around the figure. As with the initial Figuarts ZERO Sailor Moon release, this highly detailed sculpt has been meticulously crafted and painted in exquisite detail by the team at VOLKS- the original makers of the popular garage kits released during the original TV anime run back in the 90's. Cool off, and grab yourself a bit of Mercury Power before this fine piece is gone forever. Priced at $89.99. This set includes four different members of the Crazy 88 gang, with alternate heads and hair for making whatever members you'd like for your display. The set is listed at $17.99, $2 off the MSRP. Three new figures are coming to the Universal Monsters Select line. The Son of Frankenstein, Van Helsing and a new sculpt of the Creature from the Black Lagoon are each up for pre-order, priced at $22.99 ($2 each off the MSRP). Jay and Silent Bob are getting their own Diamond Select figures. Each will include accessories and connecting display bases, and are priced at $22.99 ($2 off the MSRP). A variety of new Eaglemoss listings are up. They include Marvel Fact FIles #033 Havok, #034 Spider-Man (OMD Cover), #035 Luke Cage and #036 Planet Hulk at $5.99 each; Marvel Chess Figure Collection Special Edition #01 - Hulk And She-Hulk at $37.99 as well as #011 Kang Black Rook and #012 Lizard Black pawn at $15.99 each; Star Trek Starships Collection #023 Nebula Class and #024 Xindu Insectoid Starship at $19.99 each; DC Superhero Chess Collection #061 Booster Gold White Pawn and #062 Killer Frost Black Pawn; and Batman Automobilia Collection #036 Detective Comics #667 Batmobile and #037 Batman Beyond Animated Series Batmobile at $19.99 each. This statue shows Spider-Man from his upcoming release as he crouches atop staggered rooftops. It is listed at $109.99, saving you $15 off of the MSRP. Superman takes the fight to Darkseid as they battle over the ever-raging fire pits of Apokolips in this beautiful second edition of DC Collectibles' classic battle statue. Measures Approximately 12.5" tall. This price is $249.99 which is $50 off MSRP. The line of statues designed by artist Stanley "Artgerm" Lau featuring the heroes and villains of DC Comics continues with this finely sculpted figure of the master swordswoman Katana! Limited Edition of 5200. Measures Approximately 9.25" tall. She is Priced at $84.99, which is $15 off MSRP. The bubbly and psychotic Harley Quinn has busted out of Arkham Asylum and is escaping right into your home with this intricately sculpted bust! Limited Edition of 2500. Measures Approximately 6.25" tall. She is Priced at $39.99 which is $10 off MSRP. The chillingly deadly Mr. Freeze ices the competition with this stunning statue based on the villain's appearance from the best-selling, critically acclaimed video game Batman: Arkham City. Measures approximately 11.5" tall. This item is priced at $124.99 which is $25 off MSRP. The Amazon Princess faces against one of the most famous monsters from Greek Mythology, the multi-headed hydra, in this detailed patina statue! Measures Approximately 7.5" Tall. This is sure to be a great addition to anyone's Wonder Woman collection, priced at $99.99 which is $25 off the MSRP. The Man of Steel from SUPERMAN: EARTH ONE, the best-selling graphic novel written by J. Michael Straczynski, flies into your home with this superbly sculpted statue based on the designs of fan-favorite artist Shane Davis. Limited Edition of 5,200. Measures Approximately 8.25" tall. Priced at $69.99, which is $10 off MSRP. The latest wave includes #014 Cyberman, #015 Omega (from "The Three Doctors" and #016 Vashta Nerada. Each is listed at $15.99. The Noble Collection is releasing a 7.5" tall Iron Throne Bookend, as well as 12" long House Crest Wall Plaques of House Stark, House Targaryen and House Lannister. Each is listed at $54.99. This bust portrays Sandor Clegane, the fearsome killer known as the Hound. Sandor wears a distinctive steel helmet to mask a childhood disfigurement inflicted on him by his brother. The helmet in this bust is hinged, giving collectors the ability to display it up or down. Priced at $119.99 which is $30 off the MSRP. Howard Wolowitz is the next talking figure to be announced in this line. He comes with a sound chip with dialogue from the series and is listed at $44.99. Raphael, Michelangelo, Leonardo and Donatello will soon be available to help you save your pennies and more in the form of four new bust banks. Each is listed at $19.99, $3 off the MSRP. This wave includes Batman, Batgirl, Catwoman, Joker and Robin. Each is listed at $19.99. The Hobbit films' characters are also getting released as 10" plush figures. This assortment has Gandalf, Legolas, Bilbo, Thorin and Smeagol, and they are also listed at $19.99 each. Rubies has announced a round of Arkham Origins masks. These include a 3/4 Vinyl Deathstroke mask for $16.99, and Deluxe Overhead Latex Masks of Anarky ($29.99), Black Mask ($34.99), Deathstroke and Bane ($37.99 each). Anovos is releasing a new line of ST: TNG Tunics. They come in sizes Small through XXL in Command and Engineer styles, and are priced at $229.99 each. The first 2014 assortment includes one each of Episode III Obi-Wan Kenobi, Episode V Bespin Luke Skywalker, an Episode IV Stormtrooper and Episode IV Han Solo. They are available as a Case of 4 at $79.99; Episode III Obi-Wan Kenobi, Episode V Bespin Luke Skywalker and an Episode IV Stormtrooper are also available as a Set of 3 for $74.99, and we have a few singles of Episode III Obi-Wan Kenobi at $19.99 each. We also have singles of Episode IV Han Solo, priced at $9.99. This orange semi-hauler transforms into an orange and purple robot. He comes with an alternate faceplate, hands and weapon, and is listed at $69.99. This robotic guard changes into a robotic alligator-like creature. It is listed at $49.99, $20 off the original price. This set goes with the SDCC and Fall of Cybertron Platinum versions of a recent Combiner release. It adds foot stabilizers, a new chest plate and much more, and is listed at $59.99. These upgrades add metallic weaponry to two recent transforming trucks. The Set is listed at $29.99. The War Doctor gets his own figure in this new offering. Like the others, he has his own version of the Sonic Screwdriver as well as the Moment and an alternate head, and is listed at $24.99, $3 off the MSRP. We have received a small quantity of these figures. We have Hydron listed at $29.99, and the Unnamed One (with map and mini-comic) at $99.99. A variety of new Godzilla items from Bandai America have arrived. They include two different Godzilla Fighting Figures as well as Godzilla Deluxe Atomic Roar, two different Godzilla Destruction Packs and the Godzilla Deluxe Destruction Pack. Take a peek at these new items at the link.